The Fourth » CHEER BATTLE! Accurate depiction of the Commodore and the Captain’s relationship. I did a guest comic for one of my favorite webcomics recently! Check it out- and read the rest of the story! It STILL won’t explain to you why there’s a guy with a bag on his head (or is it a bag FOR a head?) though. At least not yet. Finally, listen to my dumb voice to find out if you’ve been pronouncing everyone’s names right! Looks like the Commodore is about to bust a vein… The pirates may be there to save you, but is it really because they are saving you? They want to save the cannon-lass who broke them out of jail! Honor among pirates! …Ok and maybe they just want to mess with commy-boy. Those pirates have a very pretty colored red ship! 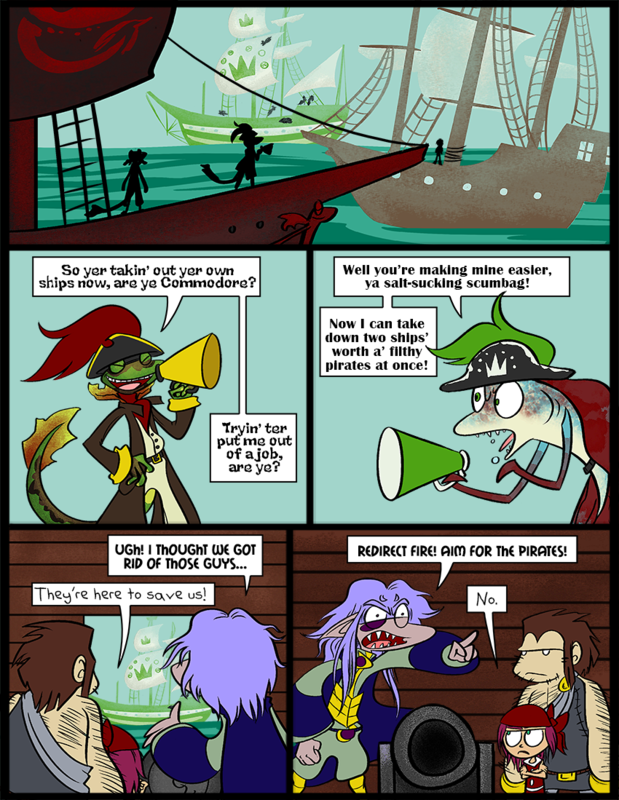 In the first panel, Skearva is inbetween both ships, but then the pirates are inbetween them in the other panel. Is this the first time Derk’s refused a direct order from Skarva? That’s Lorelei. Derk’s just making a face. Lol Lorelei is acting like a little kid. “Do something!” “No.” To be fair she has a right; I wouldn’t redirect those cannons, either. And, to be fair. She is a little kid. 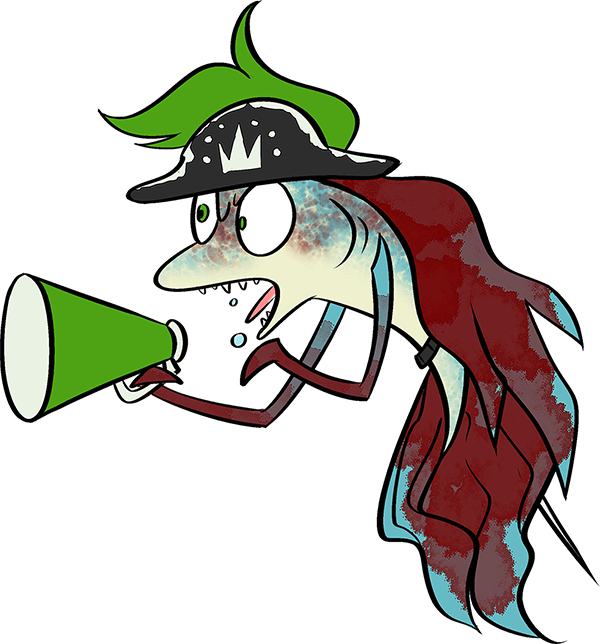 Skarva’s not taking the pirates saving him thing very well, is he. He doesn’t take anything well.